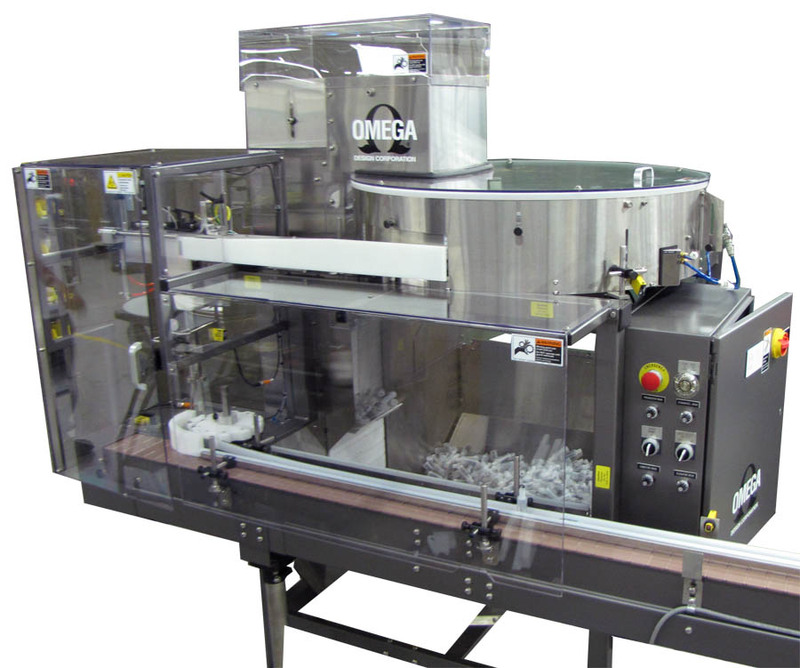 The OmegaSort plastic bottle unscrambler is a fully automatic system with an adjustable low profile for the handling of asymmetrical and symmetrical plastic containers. 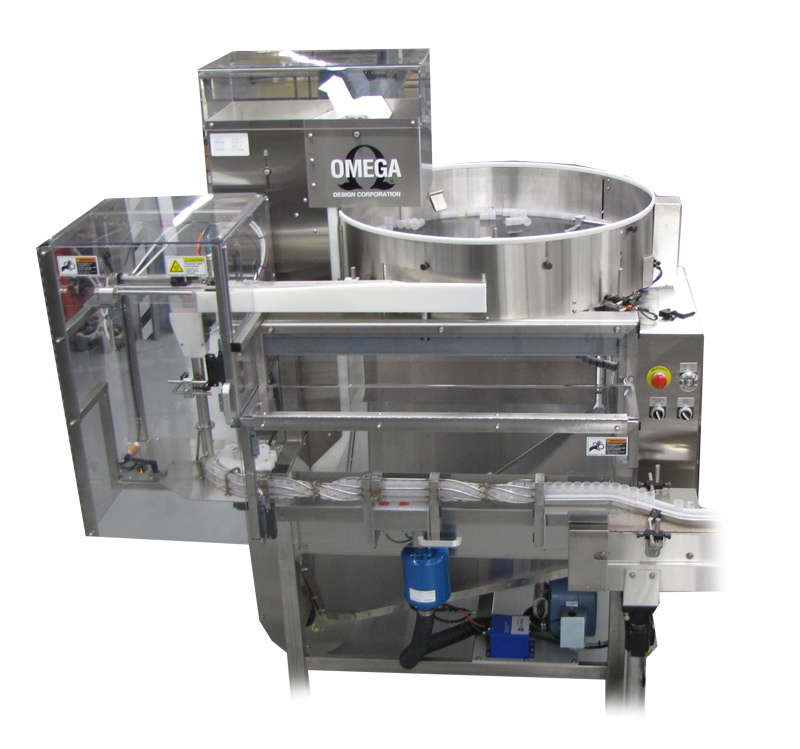 This machine is ideal for pharmaceutical, personal care, food, liquor, and specialty chemical product packaging. Omega has significant experience working with small companies and clients that seek the elements of mechanical bottle straightening and orienting for their low speed, low volume and specialty applications. Tell us about your unique application. We will work with you to find or develop the right solution. Your bottle sizes, desired machine speeds, operation, etc. An Omega sales member, or a regional sales representative, will reach out to you shortly. Note: Be sure to check our office hours. Web requests may take up to 72 hours for a response. For a quicker response, don't hesitate to contact Omega's Sales Department directly at 1-610-363-6555. 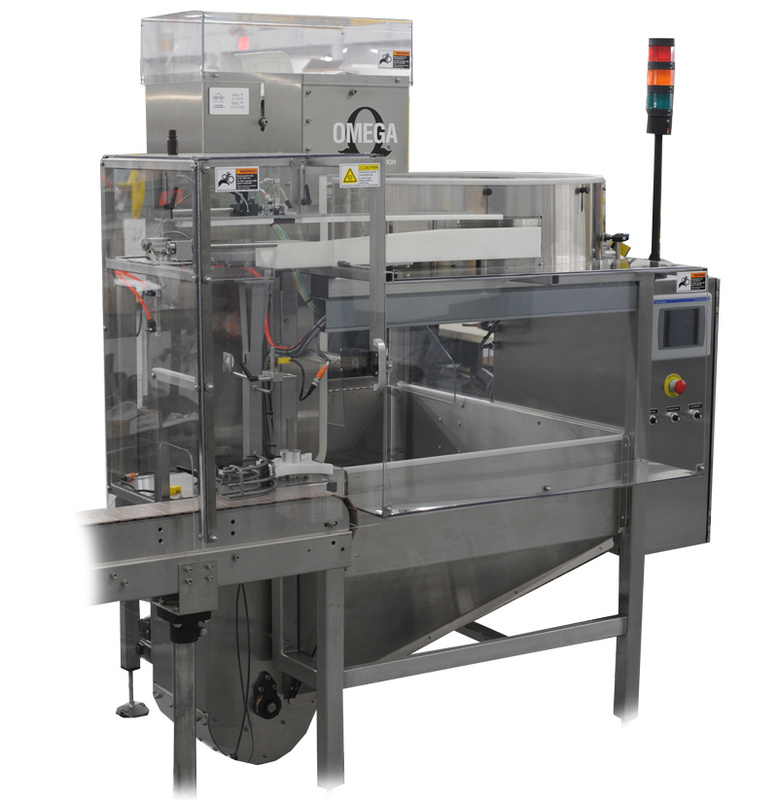 The Cyclone-series Bottle Unscrambler is a compact and simple-to-operate, packaging machine that accepts bulk plastic containers and orients them onto a conveyor. Bulk Supply Hopper - The integrated bulk supply hopper (approximately 15-cubic feet) with elevator automatically conveys containers to the disc sorter. Sorting - A rotating disc sorts containers into a single file along the pre-orienter’s wall. Containers exit through an opening provided in the sorter. Orienting - Containers travel along an adjustable horizontal channel stopping on a set of dispenser doors. When the doors swing open, the container drops into a vertical chute with a neck-up orientation. Discharging - A rotating star wheel at the base of the vertical chute indexes containers onto the discharge conveyor.